Good News! The wait is over! HP Police Recruitment 2019 has taken out the official Notification; it has released a total of 1063 official posts for various profiles. The application link is now active. This is a golden opportunity for all the candidates who want to join the police department of Himachal Pradesh. Candidates can now finally go to the official website, read instructions and apply! HP Police constable Recruitment 2019 is looking for very motivated and enthusiastic candidates to join them, who want a shift in career growth. Those candidates who are eligible and looking for career growth and an excellent opportunity to nurture their soft skills can apply. Total Vacancies: Tentatively 1063 in total. Mode of Applying: Online mode. 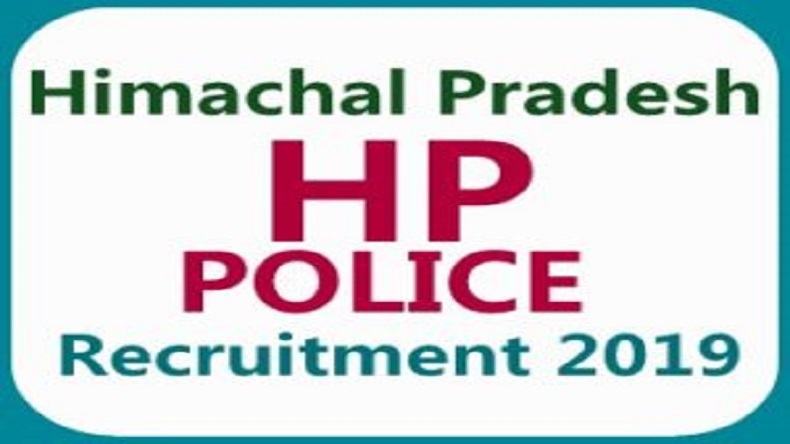 Candidates who want to apply for Himachal Pradesh Police Recruitment Recruitment 2019 for the posts of constable male, female and driver should be 10+ 12 passes from a recognized institution or organization. General The candidate should not be less than 18 years and more than 23 years. SC/ST The candidate should not be less than 18 years and more than 25 years. OBC The candidate should not be less than 18 years and more than 25 years. Gorkhas The candidate should not be less than 18 years and more than 25 years. Home Guards (General/OBC) The candidate should not be less than 18 years and more than 28 years. Home Guards (SC/ST) The candidate should not be less than 18 years and more than 28 years. Home Guards (Gorkhas) The candidate should not be less than 18 years and more than 28 years. Distinguished Sportsman (General/OBC) The candidate should not be less than 18 years and more than 25 years. Distinguished Sportsman (SC/ST) The candidate should not be less than 18 years and more than 25 years. Distinguished Sportsman (Gorkhas) The candidate should not be less than 18 years and more than 25 years. The Department or the Organization which will be responsible for forwarding the application should:(A) Check and certify that the details were given by the particular candidate in the application form, regarding the details of education background, work experience, salary slips etc. Have been properly verified for the records and are true and accurate without in fraud. (B) Clearly clarify the position of the candidate who has been shortlisted in the proper hierarchical structure of the organization, also certify the grade and pay scale. Applications received incomplete or not in the prescribed format, shall not be accepted, but rejected. It is advised that the candidates who are interested in applying read all the guidelines properly and fill it in the correct format. It may be noted that any default or clarification at a later date will not be entertained and will result in rejection.